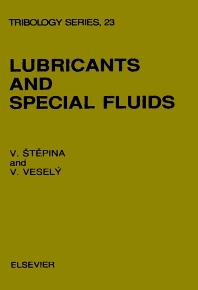 The constitution, properties, production and applications of lubricants and related fluids of all states of aggregation are reviewed in this volume. Special attention is devoted to synthetic lubricants and to additives for lubricants. Standards of quality are listed, together with systems of classification and the most important specifications and methods of testing the properties of lubricants and their performance in service. Future trends in lubricants are also discussed. Non-conventional lubricants and additives are examined in detail. The relationship between constitution and properties of lubricants, e.g., the viscosity -temperature -pressure relationship, the behaviour in ageing, the biodegradability, synergisms and antagonisms in the blends of lubricants, of additives and lubricant-additive are analyzed. Guidelines for the selection of lubricants and fluids in the design, service and maintenance of machines and machine parts are also given. The work will be of interest to all those involved in the research and development of petrochemical and machinery industries, as well as lecturers and students specializing in this field.